Villagers from the Lanjigarh area who had surrendered land to Vedanta had reportedly gathered to ask for jobs when security personnel attacked them 'without provocation'. 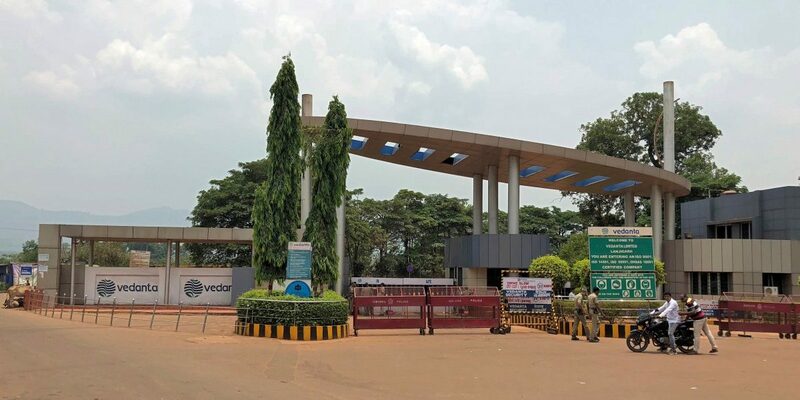 New Delhi/Bhubaneswar: A protester and a policeman died in clashes outside Vedanta Ltd’s alumina refinery in Odisha, a police official said on Monday. The incident in Odisha happened 10 months after police opened fire on demonstrators protesting against Vedanta‘s copper smelter in Tamil Nadu, killing 13 people. “Two people have died – one of our Odisha industrial security force personnel and another one from the public,” Gupteswar Bhoi, a senior police officer, told Reuters. Maheswar Pati, a protester, told Reuters the state’s industrial security force personnel attacked the people without provocation. “They physically assaulted us with sticks,” Pati said. Vedanta says 85% of the 3,000 employees at its Lanjigarh plant were from the state of Odisha. Ajay Dixit, chief executive of Vedanta‘s aluminium business, told Reuters that protesters disrupted production at the 1.9 million tonnes per annum refinery by blocking railway lines supplying bauxite and burning the front gate and other parts of the premises. “As soon as the bauxite supply resumes, we will be able to operate at a normal capacity,” Dixit said, without specifying a time frame for resumption of operations. The protests, involving over a hundred people, were also sparked by the retrenchment of a local employee, a senior police official told Reuters on condition of anonymity as he is not authorised to speak to the media. The dead protester was a labourer who worked for one of Vedanta‘s contractors, Dixit said. “We are not dependent on Niyamgiri, we are not following up Niyamgiri,” he said.